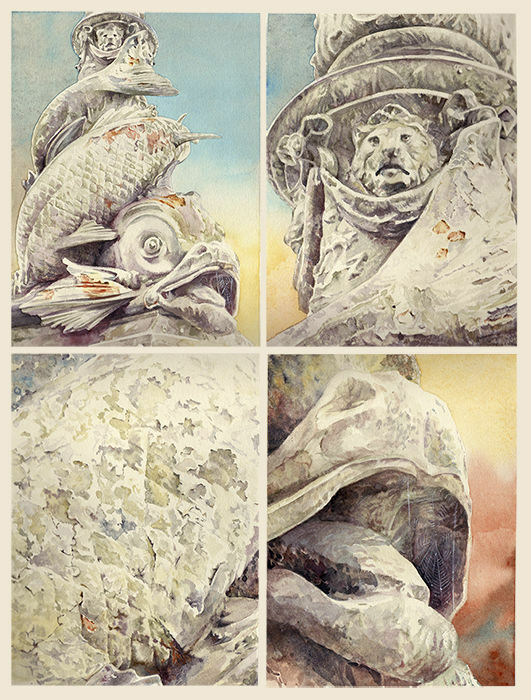 Call of the Wild- watercolour by Liz Hankins and part of her series about the symbiotic relationship between man's creative work and nature's. And about the destruction of our planet and marine life and the unheard cry for help from nature. Original watercolour currently available at Vision Gallery framed in chunky reclaimed wood.